If you want to build a custom car that'll be faster than a stock version, you could probably spend your hard cash on various performance parts and your spare time on cobbling up your custom machine...or you could buy something that another person has created....you just need to not mind the creator's vision and execution. Could you drive this next thing? 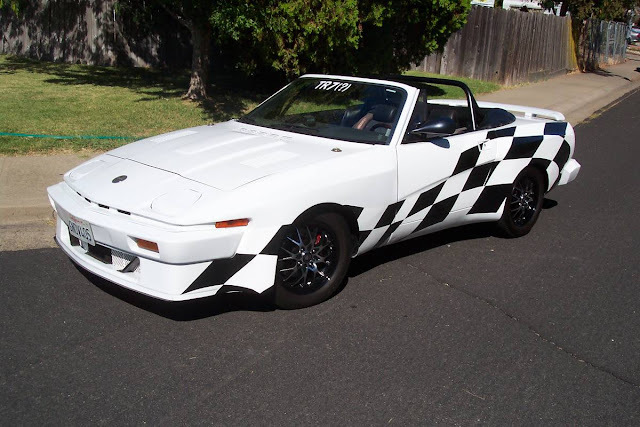 Find this 1981 Triumph TR7(?) offered for $15,000 in Roseville, CA via craigslist. This beast was previously featured here on DT back in 2015. Not much seems to have changed. Oh no, not this thing again. This car is local to me and I've seen it in person. It's perpetually for sale. It's not necessarily a bad car, but there are 2 big problems. The first is that it's customized too much for anyone who would consider buying a Triumph. The British sports car crowd is typically older and very traditional. Widebody isn't really their thing. Same goes for the checkered flag graphics, dashboard, steering wheel, and Konig wheels. The TR7 was never in high demand even when new and stock. The second is that the asking price is way too high for a Triumph TR7 and it hasn't dropped over the years. You could probably build your own version of this car for the asking if you just stuck to the mechanicals and ignored the cosmetic mods. Stock Triumph TR7s can be had for pocket change. If you did that, you'd still have a car that has resale value as well. But $15K will get you a whole range of other, much better vehicles. 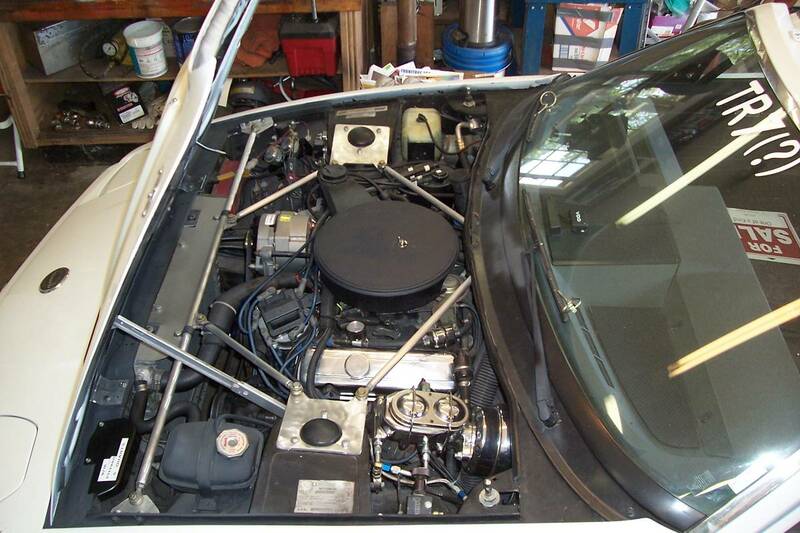 Why not a Porsche 944 s2 cabriolet for example? Or an excellent MGB? Or three to five Miatas? When the owner says, "if I had a dollar for every time I was asked "What kind of car is it?" I'd be rich! ", all I can think is, yeah, you should have asked for those dollars and then cut your asking price in half and accepted the first offer that came your way. Still, I like some of this car and at a reasonable price I'd consider it. But I'd instantly change the wheels and swap the checkered graphics for Group 44 livery as seen below. Damit, now I want to try that livery on my Fiero. Couldn't agree more on those wheels. Side note the cross bracing under the hood looks odd to me. Be nice to know what vintage the Buick V-6 is there pretty light and agree for 15K this is over priced what are TR-8'S selling for ? I have been looking @ 04-06 GTO'S that can be bought for that number or a C-5 Vette.